Help me get my PMP or CAPM! We love to help our members! 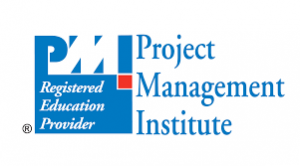 And one thing we keep hearing from our members are questions and requests for support for attaining a PMI PMP (Project Management Professional) or a CAPM (Certified Associate Project Manager) certification. We want to help! We’re run by a PMI Registered Education Provider (R.E.P.) and fully qualified to help you get there. And best of all, you know that training with us will be full of the same honest and conversational approach we take on our podcasts. But first, we need to understand what kind of assistance has the most interest. So, if you are serious about getting your certification, please complete the form below. Based on the level of interest, we’ll put together a few program options and reach back out to you. Note that some of the options below would require some additional cost – how much depends on how much interest there is. So if you have friends or colleagues that would for sure be interested, feel free to forward this on – the more people we can get in, the lower we can keep the cost. If you want to get your PMP, be sure you are aware of the prerequisites, which you can read about here. If you are short of the PMP experience or education requirements, you may also consider a CAPM. BTW, if you are not a member yet, that’s OK – we’d still like to hear from you if you’re interested, but you’d need to be a member to participate in whatever program we put together. Being a member is awesome!